Triclosan…avobenzene…Phthalates…Polybrominated biphenyls…that’s not a spelling test, that’s just some of the commonplace, harmful components found in so many of our personal care products and cosmetics. I know, it’s almost unbelievable. Did you know that Europe bans more than 1400 harmful ingredients from being used in cosmetics, compared to the paltry 10 banned in the U.S.? Appalling. I’ve written about the Campaign For Safe Cosmetics’ “Skin Deep” Cosmetic Database before– your go-to beauty Google— where you can plug in your hair, skin and beauty favorites and see where they rate on the toxicity scale. Use it! So what’s the solution? It’s simple: just like with your food, make educated choices for the best results, keeping in mind we all have weaknesses (like Malt’s Thai Nachos). One of my favorite “clean” personal care lines is Ava Anderson Non-Toxic. With a complete suite of skin care, beauty, home cleansers, baby and pet care products plus odds and ends like non-toxic candles, it’s easy to find safe, healthy alternatives. Admittedly, their makeup selection is a bit limited, but what they have is fantastic. The line is also not available in stores, it’s sold via direct sales (perhaps my least favorite way to buy), but it’s worth it. Early in the summer I placed my first order which included lipstick, lipgloss, lemon body scrub, deodorant, home refresher and sunscreen. It’s really eye-opening to experience products in their natural state. For example, the color of the lip gloss in the tube was dark peach, but it went on as a soft, natural pink. 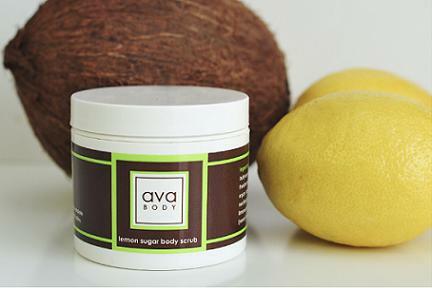 The body scrub’s natural lemon scent is light and sweet, just like when you slice a fresh lemon, as oppose to say, Bath and Body Works Vanilla Lemon Body Lotion, which includes diazolidinyl urea (what the? ), methylparaben (the first red flag is that the word “meth” is in there…) and propylparaben (parabens are linked to cancer, endocrine disruption, reproductive toxicity, immunotoxicity, neurotoxicity and skin irritation…lovely). And if you’ve heard rumors that using regular deodorant can clog pores and has even been linked to breast cancer (just one of the bad chemicals is aluminum–that’s right, the same stuff your parents used in the 70s to get better TV reception), you can rest assured with Ava Anderson’s non-toxic version which has no parabens, no aluminum or no harmful chemicals. (Oh, and it works, and doesn’t smell like a hippie compound, like Tom’s of Maine, which by the way, sold out and its no longer made by two envrio Maine-iacs but instead by Colgate-Palmolive; yup, the same folks who make Ajax). I have a few friends who also are looking to eliminate harmful beauty products and who use Ave Anderson, so one of them became a consultant so we go all go to her when we need to get our hands on new product. You can order from her too if you like: Andrea Rollin, andrearollin@gmail.com. If you like, tell her you heard about Ava on Newport Stylephile! FYI: I’m not getting paid for this post monetarily or in product. It is just a line I feel good about using and supporting. Entry filed under: Uncategorized. Tags: ava Anderson, Ava Anderson consultants, ava Anderson for sale, ava Anderson promo code, ava Anderson sale, bad stuff in make up, clean makeup, Cosmetics Database, how to buy ava Anderson, natural baby products, natural baby skin care, natural home cleaners, Non-toxic cosmetics, non-toxic home cleaners, non-toxic laundry, non-toxic lip sticks, organic baby products, organic baby skin products, organic make up, organic skin care, rhode Island women entrepreneurs, skin deep cosmetic datebase, thai nachos malt, toxic britney spears. Very cool. I love ava and her whole line! Ooooh! I can’t wait to expand it…going to dive into even more stuff soon! 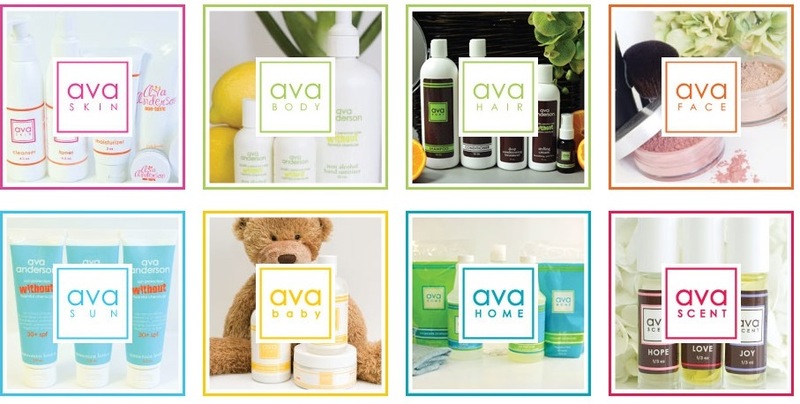 So many trustworthy mamas rave about Ava’s products! Totally need to try them.